Tembo Trunks are the speakers that aren’t speakers. 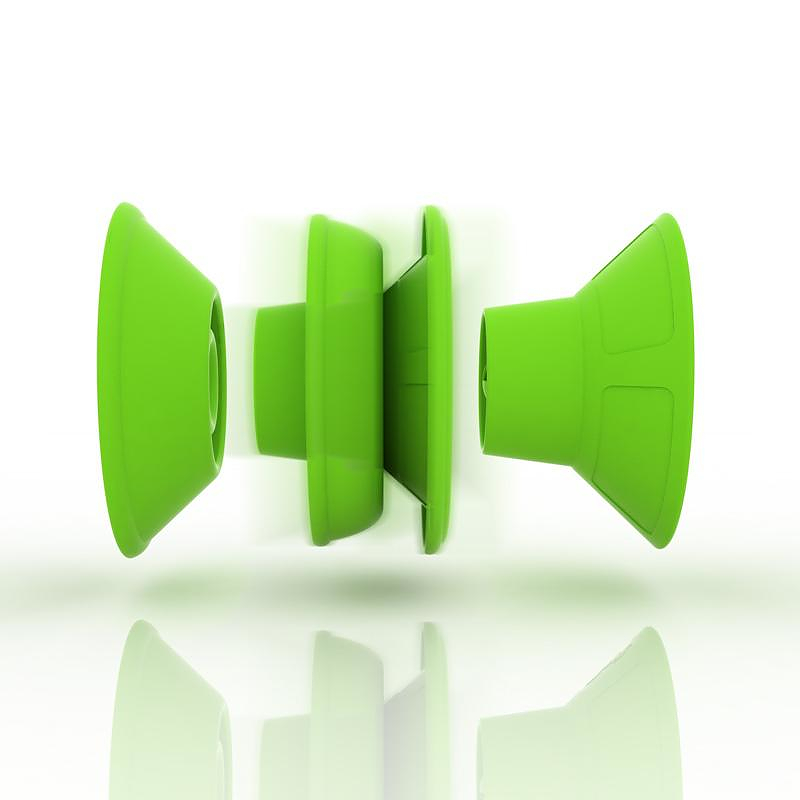 They are the first collapsible earbud speakers for iPods and iPhones and they will allow you to enjoy your tunes out loud anywhere, anytime. 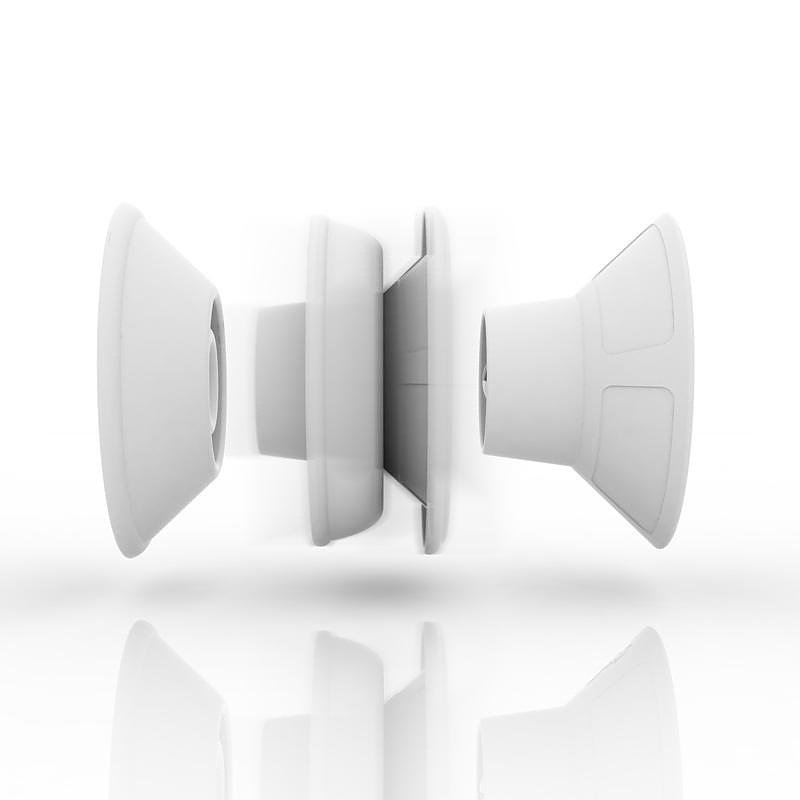 In fact they’re not really speakers, they’re sound amplifiers that magnify the sound waves coming from your earbuds. 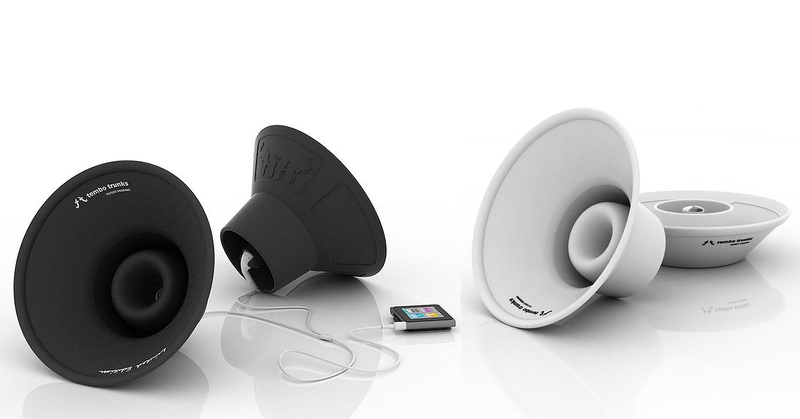 The concept is to make use of “horn acoustics”, an ancient method of amplification, and combine it with modern digital technology. 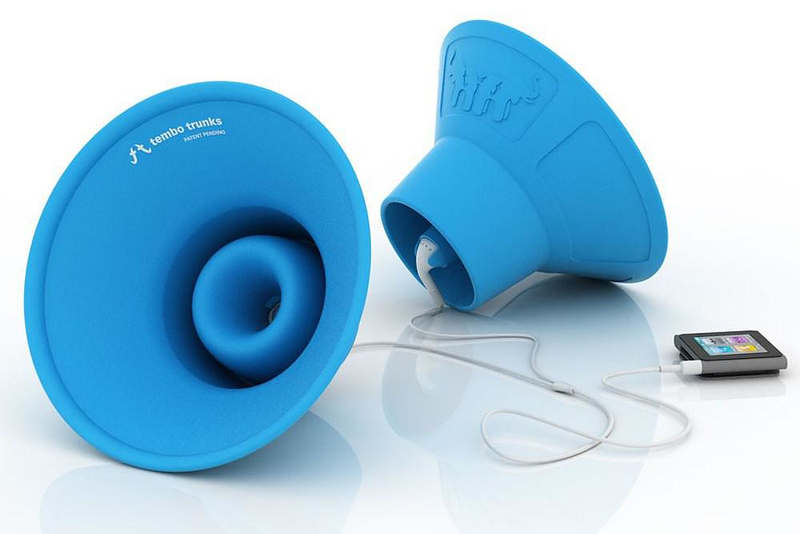 Tembo Trunks amplify the music from your iPod’s earbuds to 80dB of clarity-enhanced Stereo Sound (3x the sound). Tembo Trunks are 100% Waterproof, Shockproof, and Dustproof with no moving parts or electronic components to fail. 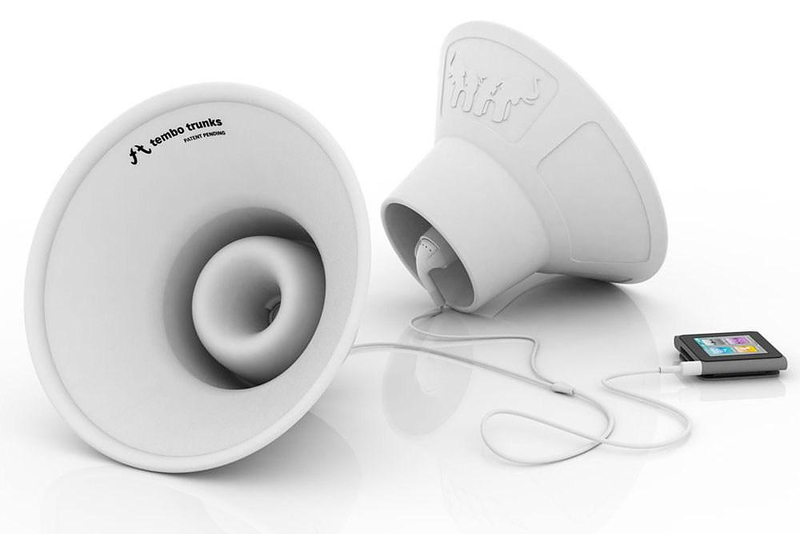 All you need to do is attach your Apple earbuds to Tembo Trunks in order to transform them into a set of portable, non-electrical, virtually indestructible stereo speakers. 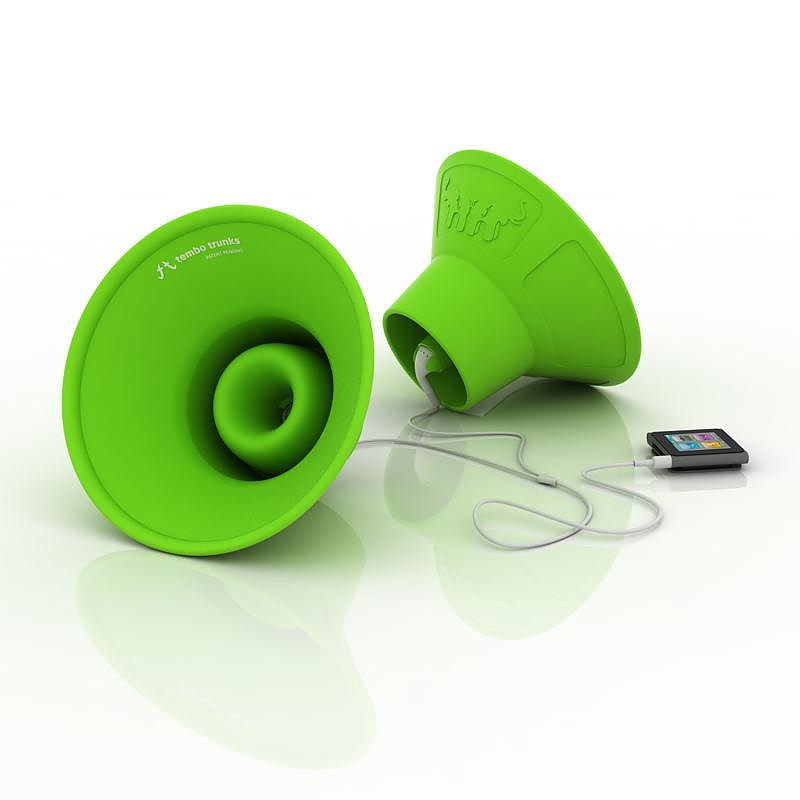 While Tembo Trunks are not the kind of speakers that will rock the room, their volume is sufficient for lots of situations. Don’t expect to bust an eardrum or feel the ground shake when you’re playing your music that is not the point. Tembo Trunks are ideal when you want to share music in a casual setting (traveling, camping, beside the bed, in your hotel room, in the office, by the pool etc.). Made from high-grade silicone rubber, Tembo Trunks are also light, flexible, stackable, washable and can withstand extreme temperatures (-50°C to +150°C/ -58°F to 302°F) – the perfect travel companion. Tembo Trunks don’t use batteries or drain power like external speakers or docking stations. This means that you can play music for longer. 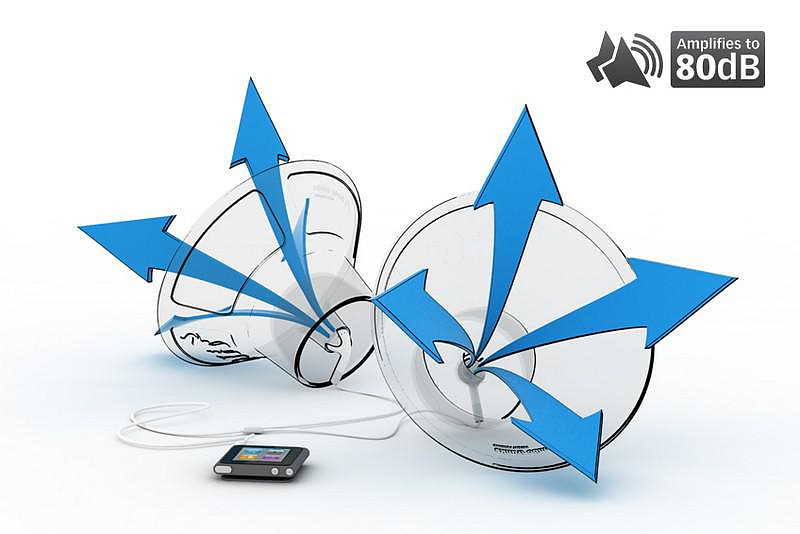 With no cables, chargers or converters, you don’t need to pack batteries, you can easily play mildly-loud music for the duration of the iPod’s battery, while conventional rechargeable speakers will require charging through a power outlet after a few hours of use. 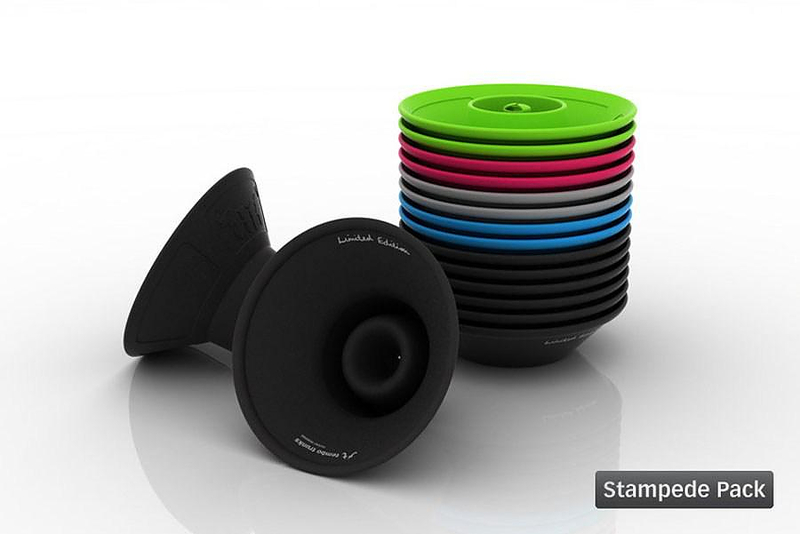 Plus an iPod is easy to recharge even in the car, while a rechargeable speaker set is one more gadget to keep charged. 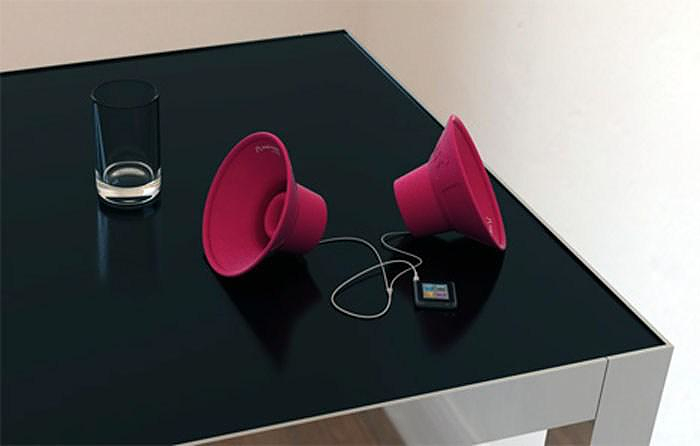 By using Tembo Trunks you can also enjoy “sustainable sound”. 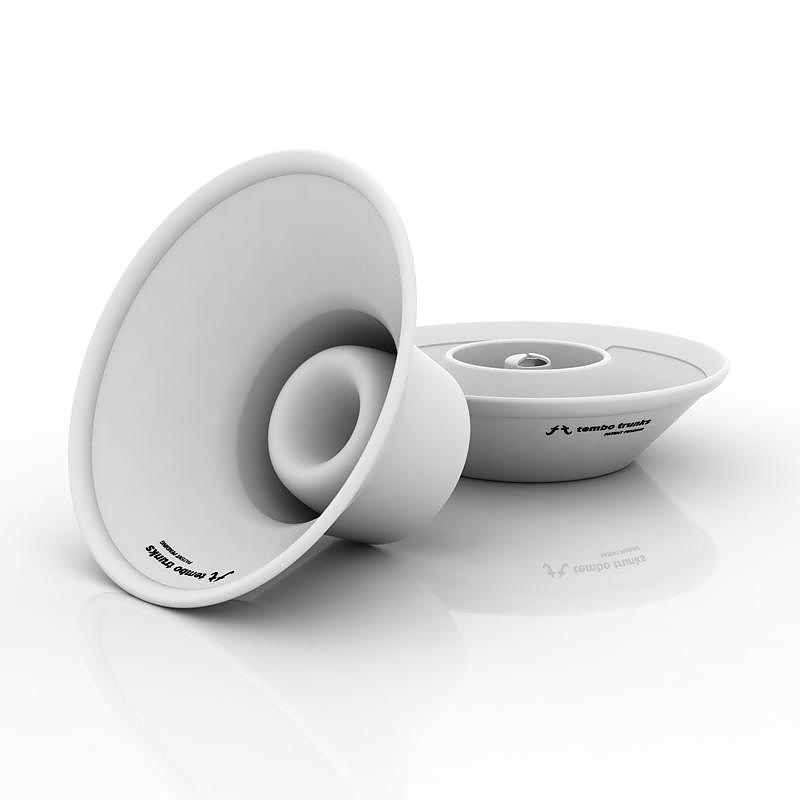 Regular speakers, like most other electronic products, are comprised of numerous parts. Often this includes damaging metals, toxins, glues, and batteries. Tembo Trunks are made from one material (100% non oil-based, high-grade silicone rubber), require no assembly and are designed to last. 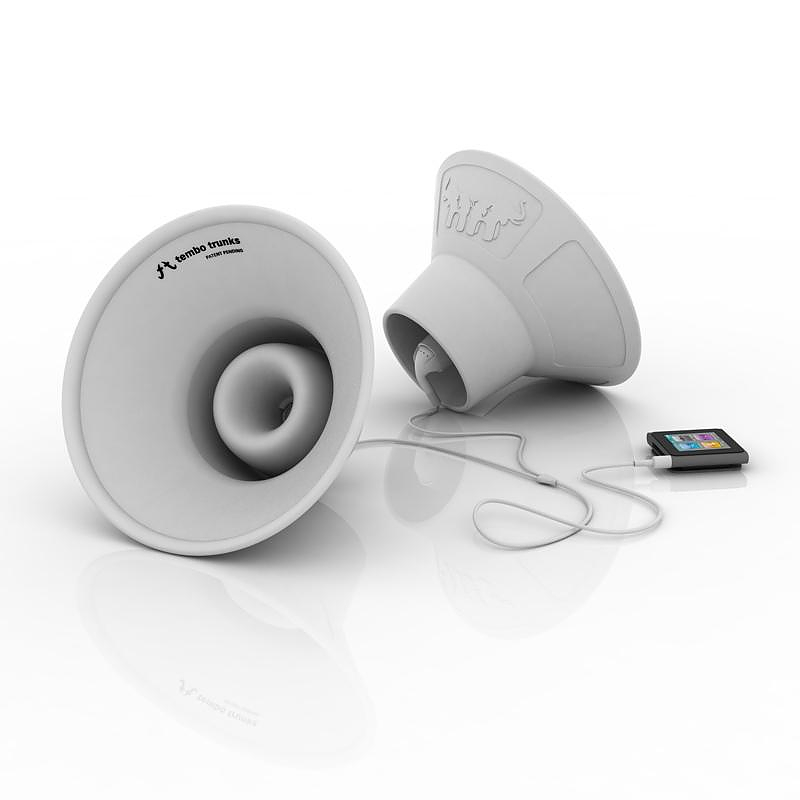 We’ve seen many portable speaker solutions before, the Tembo Trunks, however, do things a whole other way: They are a superbly durable and portable speaker set that really integrates with your iOS device. 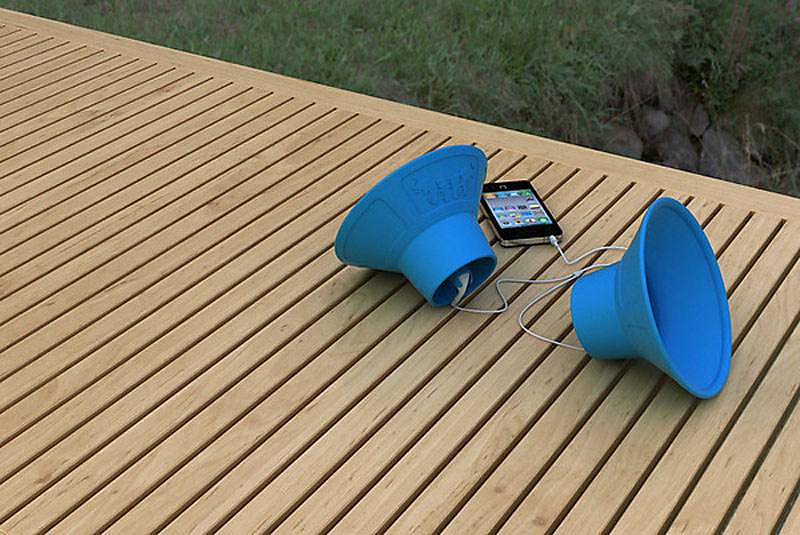 Tembo Trunks will amplify your music anywhere and anytime (indoors or outdoors). All you need is an iPod / iPhone and the earbuds that came with it.